Hey, you people with Mothers, Grandmothers and great-Grandfathers, today is your lucky day… Yes it is Mother’s Day and to celebrate we will be open until 11.15pm tonight to dish up our fabulous food to as many of your lovely Mum’s as possible. 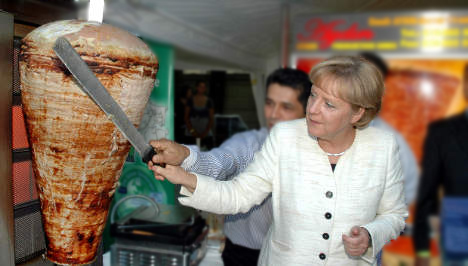 And what mums wouldn’t want to spend her special evening with us here at her favourite kebab shop, Knossos Kebabs? 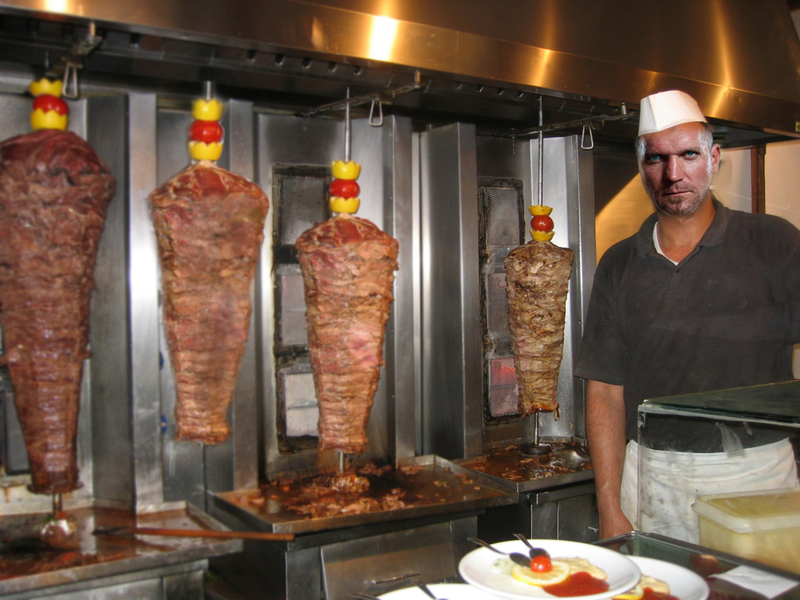 For today only we’re offering large “Mumma’s” donna kebabs for £13.99 each (whilst stocks last) and we’ve laid on a local star, Mr Entertainment Man himself, a man that every old mama will love. Yes, we’ve booked local Ed Sheeran tribute act, Ted Sheeran, to sing along to a CD of hits by the real Mr Sheerans. We’ve only got 6 proper seats in the shop, but now have 4 deckchairs and an umbrella outside our kebab shop so most people can get get comfy (if it’s not too windy and the umbrella stays up). But maybe you come early and not stay long. It’s a night out Mamas won’t want to miss, so bring all your old folk to eat with Khristos. Happy Mothers day and see you tonight…. Please bring cash as the card machine has broken. Hey you lucky people, tomorrow is not one but two matches going on, so we have much to be celebrate… and what more British way to be celebrate a wedding and a football match than with a traditional kebab. So your favourite kebab house we will be opening 9am ’til 12.15pm to serve as many of your lovely wedding and football fans as possible. And so you can keep in touch with Mrs Markle and Prince Harold we will have the radio on throughout the wedding and then switch channels to hear the football cup… For one day only we’re offering large “Fit For A King’s Brother” donna kebabs for £13.99 each (whilst stocks last) and we’ve laid on a DJ for the evening. Yes, my nephew MC Knossos will be playing tapes he has recorded off the radio of all the latest pop hits. We’ve only got 6 proper seats and 2 deckchairs in our kebab shop so most people visiting will have to stand, but maybe you queue overnight so you there when we open. It’s a day out you peoples won’t want to miss, so bring all your families and friends to see Khristos. See you at 9 in the morning sharpish. Hey you lucky people who have Mums, Sunday is Mother’s Day and to celebrate we will be opening 11am ’til 11.15pm to serve as many of your lovely Mum’s as possible. And what Beckworth mum wouldn’t want to spend her special day with us at her favourite kebab shop, Knossos Kebabs? For one day only we’re offering large donna kebabs for £12.99 each (whilst stocks last) and we’ve laid on a star of radio, church and TV, an entertainment man that every lovely mama will love. Yes, we’ve booked local Sir Cliff Richard tribute act Richard Cliff to sing along to a CD of his hero’s hits through lunch and again at dinner time. We’ve only got 6 proper seats and 2 deckchairs in our kebab shop so most people will have to stand, but maybe you come early and not stay long. It’s a day out Mothers won’t want to miss, so bring all your mother’s and Grandmother to see Khristos. Or borrow one if yours is dead or in hospital. See you Sunday. Hey you lucky people, today the beloved HRH Queen becomes the oldest queen ever to have lived in this Great Britian and so it is time to celebrate. Big style. 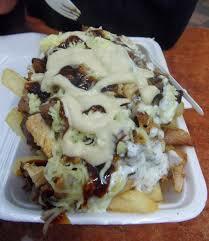 And as we know the best way to make a day special is with a kebab. And fries. We’ll be offering a one day only all you can eat until you’re sick offer (from the salad bowl only) for all the Queen fans who come wearing Queen t-shirts or carrying a signed photo of the Freddie Mercury. We’ll also be selling out-of-date greek beer from under the counter. And after 9.30 tonight we’ll be putting on a slide show of our recent visit to Buckingham Palace and have a Queen music tape playing to really make the day extra royal. All for just £24.99. At this crazy price why go anywhere else? We will be staying opening extra late to cater for the after-the-pubs-shut kebab-loving hungry royalists so why not bring the whole families for breakfast, lunch and dinner? Sees you later. Hey you lucky people, we’ve just remembered that today Is both Father’s Sunday and the “longest day” so we will be staying opening extra late to cater for the after-the-pubs-shut clientelle. We’ll be offering a one day only all you can eat offer (from the salad bowl only) for all father’s purchasing a large donar kebab, large fries and a greek beer. Also, after 9.30 tonight we’ll be putting on a strip show and have some greek music playing to really make the day extra special. All for just £24.99. At this crazy price why go anywhere else? So sons and daughters bring all your father’s, and grandfathers. See you later. Hello you lucky peoples. Don’t forget this Sunday is your Mother’s Day and to make it extra special we will be opening 11 ’til 11 to service all the Mum’s we can. Your mother will be treated like a King at Knossos Kebabs and to any woman who can prove she has offspring we’re offering large donna kebabs for £11.99 each (whilst stocks last). After the success of last year’s Mother’s Day we are once again laying on entertainment that every mama will love, local Michael Buble tribute act Michael Ball will be singing all his hits, accompanied by his granddaughter Zoe on the spoons, in between making kebabs. This year we’ve got extra seats in our kebab shop so can sit 9 mums at any time, but any dads or sons and daughters will have to stand up. So maybe you come early and take-away (there’s a bench down the street). It’s not a day to be missed, so bring us all your mothers. And Grandmother. Khristos will see you Sunday. Hey lucky people, this Sunday is Mother’s Day and we will be opening 11 ’til 11 to serve as many Mum’s as possible. And what mum wouldn’t want to spend her special day at Knossos Kebabs. For one day only we’re offering large donna kebabs for £9.99 each (whilst stocks last) and laid on entertainment that every mama will love. Yes local Michael Buble tribute act Michael Ball will be singing all his hits through lunch and again at dinner time. We’ve only got 6 seats in our kebab shop so most people will have to stand, so maybe you come early. It’s a day not to be missed, bring all your mother’s and Grandmother to see Khristos. See you Sunday. 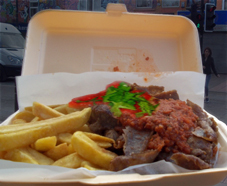 Hey you lucky people, this Sunday we will be opening 11 ’til 11 and offering a one day only all you can eat offer (from the salad bowl only) for all father’s purchasing a large donar kebab, large fries and a greek beer. All that for £13.99. At this crazy price it’s not to be missed, so bring all your father’s (Grandfather’s also welcome). See you Sunday.